Many of us want to "eat clean" but sometimes, time gets in the way of our best intentions and we're making on-the-go choices, which almost always, aren't so clean. This has been my experience, and while I know what I should do, what I do do isn't always the best, so this post is for me as much as anyone. Want to clean up your eating? Try these three things. 1. 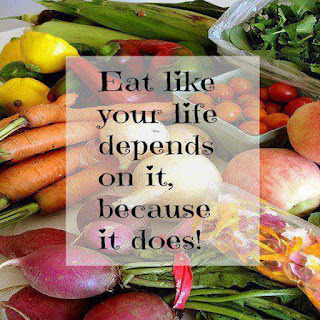 Decide what "clean eating" is for you and plan ahead. If you plan, based on what you know to be what's best for you and your healthful eating, it's a win-win. Keep a snack with you in your bag. No excuses. There are healthy options that require no refrigeration. For me, it's a serving of almonds or walnuts, carrots, berries, kashi cereal and my favorite Quest protein bars. 2. Do not eat in front of the television or computer. Take the time to eat and feed your body. When you eat mindlessly, it's gone and you're left wondering, what's next? This leads to snacking, also usually done in front of the tv. Not good. 3. Write it down. Know what you're eating. Knowledge is power and when you see it in black and white, you can see it and adapt it as needed. Start here. Trying a life overhaul all at once is daunting, but if you chunk it, it's manageable. Start where you can and make small differences...they all count. Have a great week!